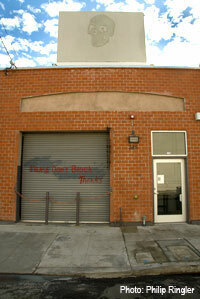 Studio Quercus is a non-profit artist-run exhibition space in Oakland, California. Studio Quercus is a non-profit artist-run exhibition space in Oakland, California. In 2010 Studio Quercus received its 501(c)3 status. An artists-run organization, Studio Quercus provides a conducive and congenial space and exceptional support for visual and performing artists to show their work. It is a place that cultivates creative exploration and an exchange of ideas, allowing for the unexpected to happen. We uphold our mission with a great variety of multi-discipline programs, including individual and group exhibitions, live music, film screenings, performing arts events, special community events, artist talks, demonstrations, and workshops. like-minded creative individuals who were inspired to ‘put on a show’ for the community.